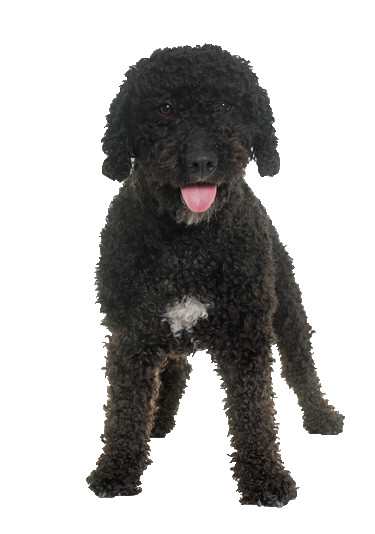 Friendly and confident your Portuguese water dog makes for the most suitable family pet. He is a joy to train, eager to please and requires a life of constant mental and physical stimulation due to his high energy level. Naturally, he loves being on, in or near the water, the only problem is getting him out! In touch with his breed, he is also a great retriever and has the tendency to ‘mouth’ objects, including ones he really shouldn’t. Here at Chelsea Dogs we have a great choice of toys to help improve this behaviour.